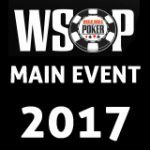 The 2014 WSOP Main Event Day 1 a/b/c have been completed giving us a final amount of 6,683 registered players and total prize pool of $62,820,200. 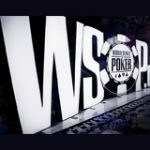 Some records were broken for attendance with Day 1c being the largest starting field in history of the WSOP Main Event with 3,768 players registering on the last day. More than half of the playing field has been eliminated at this point with about 3,300 players going through to Day 2. 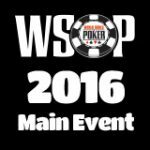 In this 2014 WSOP Main Event Day 1 update we've included the chipleaders and notable players survival and eliminations on the first three starting days of the World Series of Poker Main Event. 6,683 players will be playing for a first place prize of $10 million guaranteed along with the prestigious Main Event Title and bracelet. Eliminated: Jason Mercier, Jean-Robert Bellande, Phil Laak and Andy Bloch. 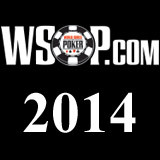 Day 1b saw a field of 2,144 players registered, more poker pros making appearances on 2014 WSOP Main Event Day 1 b. 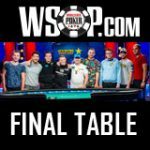 Survived: Dan Harrington, Huck Seed, Michiel Brummelhuis, Brian Hastings, Marvin Rettenmaier, Erik Seidel, Vanessa Selbst and Jason Somerville. Eliminated: Bertrand Grospellier, Chris Moorman, Robert Mizrachi and Andy Black. Day 3 was the final starting day of the Main Event with 3,768 registered players making history with the largest starting field on the first days of the Main Event. Survived: Daniel Negreanu, Gus Hansen, Phil Hellmuth, Daniel Colman, Joe Hachem , Jonathan Duhamel, JC Tran and Scotty Nguyen. Eliminated: Sam Trickett, David Ulliott, Tom Schneider and Jackie Glazier. Notice that the guaranteed first place prize of $10 million is almost double the prize for 2nd place.